Know What You’re Getting Before Making Your Next Cloud Move. The trend now is clear, and hybrid multi-Cloud deployments are the rule, rather than the exception. Cloud adoption has raced ahead of internal oversight and management processes, and many organizations lack the expertise to effectively manage resource deployment and maintenance. Cloud Spectator can provide Enterprise Cloud Benchmarking services to help you navigate your growing Cloud footprint with a clear Cloud Portfolio Management Strategy. 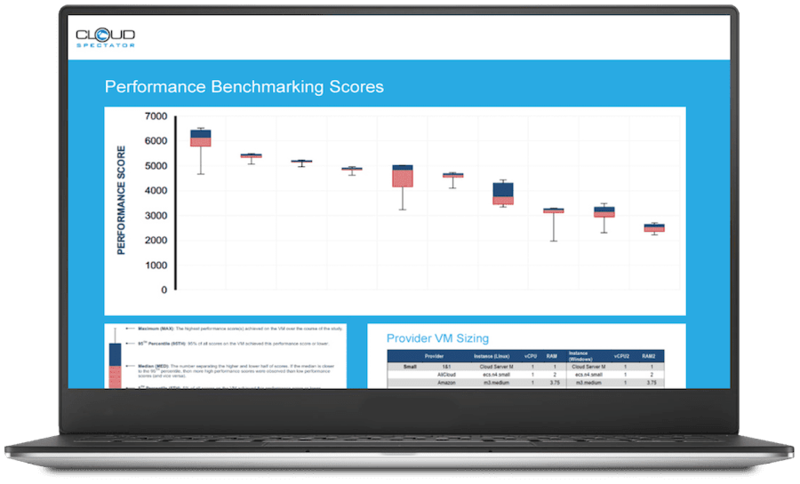 Why You Need Enterprise Cloud Benchmarking? Determine the value of current market offering with price-performance benchmarks (an apples-to–apples comparison) of public Cloud providers. Whether you’re utilizing best practices of a Cloud Portfolio Management Strategy, engaged in a cloud migration project or looking to start fresh with a brand new cloud implementation, you’re going to need help to match your workload performance to the cloud provider that best suits your needs without overspending. We monitor the leading service providers in the market, so you don’t have to. Contact us today to discuss how benchmarking cloud computing can benefit your company.